from Amazon @ $67.09 ea. 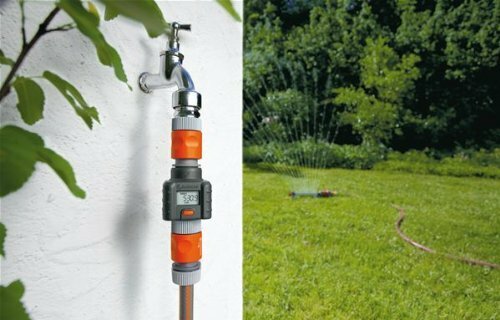 The innovative GARDENA Water Smart Flow Meter allows targeted irrigation that is measured and mindful. At a glance, you can see 1. the water consumption per day, 2. the water consumption per season, 3. the water consumption per watering session 4. the current flow in litre per minute. The consumed water quantity can be read at any time on the large display and thereby controlled. With a single button for all functions, the Water Smart Flow Meter is easy to use. Until now, irrigation has been a matter of personal judgement and one's form on the day. The Water Smart Flow Meter ensures that you have better control. From now on, you can water in a targeted, requirement-suitable and systematic way. This is good for the garden, the environment, and the wallet. 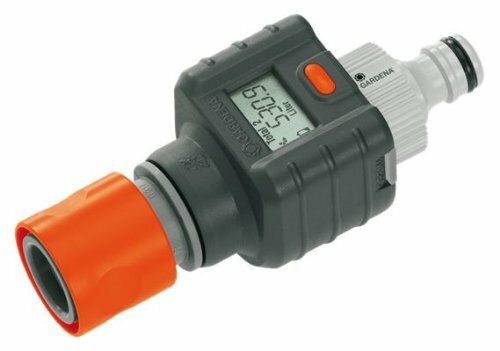 The Water Smart Flow Meter is battery-operated and can be immediately connected to the tap, to a sprayer, a sprinkler or a pump. 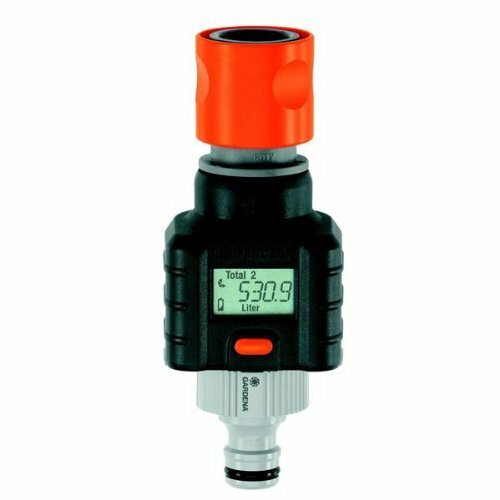 The robust and impact-proof Water Smart Flow Meter is simply clicked onto the Threaded Tap Connector or Standard Hose Connector and immediately supplies important data through active measurement. An integrated battery-level display secures precise operation. This innovative meter raises awareness of water consumption. Hozelcock compatible. Easy operation - With one press of a button, you receive an overview of the water consumption.